A review can make or break a restaurant. So it’s no surprise that restaurant owners want to make the most out of the press clippings they collect. But what’s the best way to make use of these reviews on your restaurant’s website? This was the question I got recently from one of my customers, Julie Brooks. She works for Estes Public Relations, a PR firm that caters to restaurants. It was common, she said, for her clients to want to upload PDFs, which were simply scans of the clippings. She knew well enough that this was a bad idea. But what’s the best approach? In this article I’ll point out some recommended practices for displaying press clippings and reviews on your restaurant website. But first: why are PDFs so bad? Clients love them because it’s easy to guarantee the way something looks on a PDF. It looks and acts like the document it was scanned from, and when you print it out it will look the same. Users hate them for the same exact reasons. PDFs are designed to fit on a specific paper size. They’re not built for a multi-device world, where someone might view it on a desktop, then email it to a friend, who will open it on their phone, and then may pass it on to a third party where it will be viewed on a tablet. Each person views the document in a completely different way. 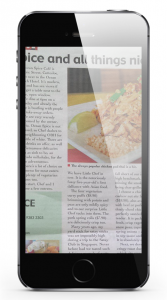 PDFs can’t respond to their context, and moving focus around a PDF on a phone or tablet can be a real nightmare. So much scrolling! I’ve got to pinch and zoom and scroll in every direction to read this PDF on a phone. PDFs cause friction and users anticipate this. If they see a link to download a press clipping, most just won’t bother. The other problem is that the text is not searchable. Although Google is getting better at indexing PDF content, it won’t scan your PDF and try to extract words from an image. That’s a computationally challenging and intensive task. In short, throwing your clipping into a PDF on your website will effectively make your review invisible to Google, one of your most important visitors. We’ll go into this in more detail later. That doesn’t mean you have to abandon PDFs altogether. Sometimes a review can disappear from a website, and it’s good to have a backup. But make sure the PDF is not the only way visitors can take advantage of your clipping. Because very few will actually download it, you need to be able to take advantage of the review without the PDF. Here are a few tips that will help maximize your social proof and bump your local SEO when displaying your press clippings right there on your website. Cherry-pick your quotes. Be liberal in how you edit your reviews. Never create a fake review. But feel free to pull out just the most meaningful and expressive quotes from a review. A vibrant, emotional description often has more impact than a lengthy, brainy one. Make the reviewer human. Make sure their name is visible and, if at all possible, include a photo. People respond to other people. Of course, if you’ve got a Michelin Star (or some other known organization), include that too! Prove it’s real. Whenever possible, link through to the source of the review. The anonymity of the web makes people very sceptical. Prove your reviews are real by linking to the review wherever it originated. No better social proof than actual proof! No need to be fancy. People of all stripes value peer reviews. Chefs may covet established reviewers, but customers look at Trip Advisor, Yelp, Facebook and other sites. They value that kind of aggregated opinion. So don’t ignore these on your clippings page. 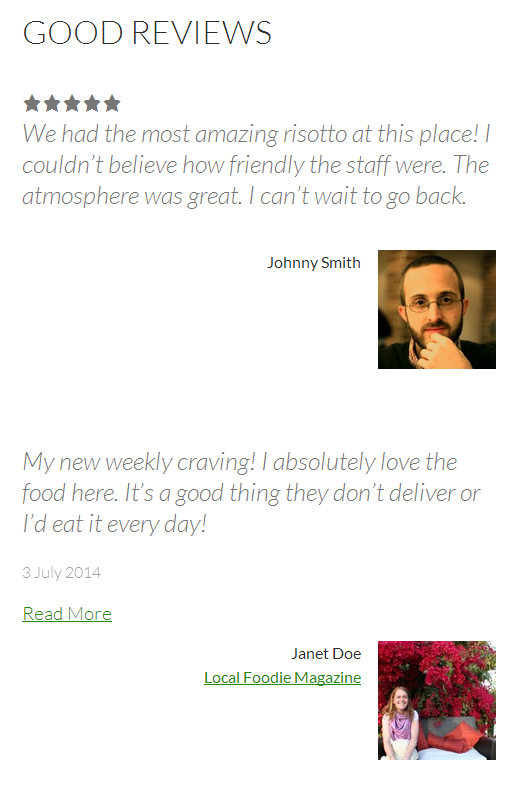 Showcase any Trip Advisor widgets you’ve got or Yelp Reviews if you’ve got a decent rating. Under each of the three restaurants Google lists, you’ll notice it also offers an aggregate rating from reviews that it’s compiled. Some of these reviews will be culled from its own well-meaning but mostly unpopulated social network, Google+. If Google knows that a review applies to your business, it can automatically index that and use that data in its search results. 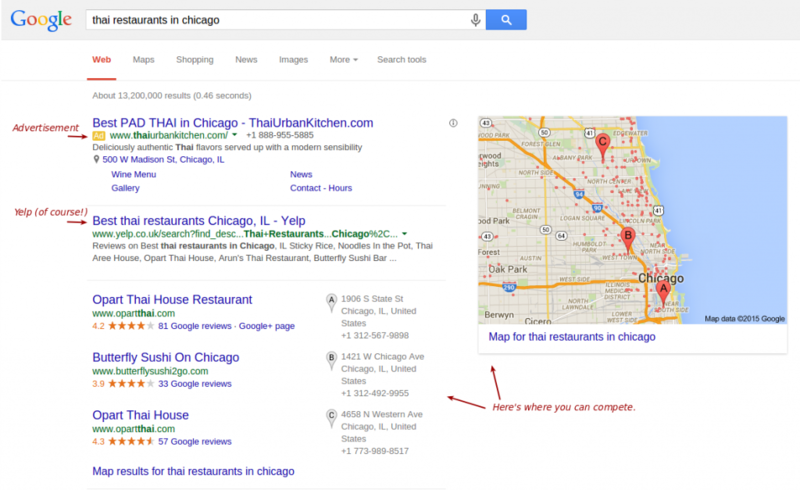 For this to happen, you need to make sure your reviews are marked up as rich snippets. One way to do this is to use Schema.org markup. The documentation at Schema.org provides a comprehensive look at the markup you need to use for all kinds of things. But if you’re using WordPress, you can use my plugin, Good Reviews for WordPress, to take care of this for you. It gives you an easy interface to add your reviews, including all the most important details I mentioned earlier, and quickly display them in any page, post or sidebar. It also presents the reviews in an attractive design to maximize their impact. Developers can quickly and easily customize the template for reviews if they want to display it in a different way. Just be sure to preserve the Schema.org markup syntax! So there you have it. No more excuses for just dumping your reviews into a PDF and uploading it to your site. Follow these rules to ensure your reviews give you maximum impact, both on the visitors who might become your customers as well as the search engines who will display your review data in their listings.